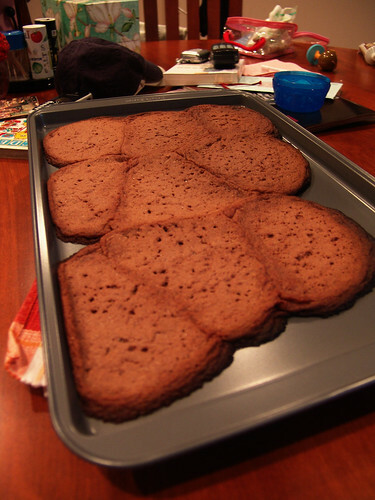 I have always had bad luck with making cookies. You can see my very first try on the lower left photo and then my second try on the right. Yeah, they didn’t even look like cookies. Besides making cheesecakes, I rarely bake. Maybe that’s why my favorite dessert is tiramisu, no baking required. But for some reason I really wanted to make some cookies this weekend and that’s what I did. 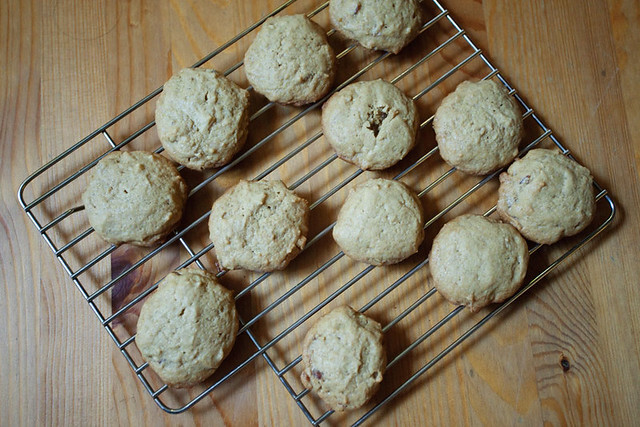 I’m not sure where I got the idea or crave from, but I really wanted a peanut butter and banana cookie. Oh and then I thought, why not throw in some candied bacon?! TA DA! 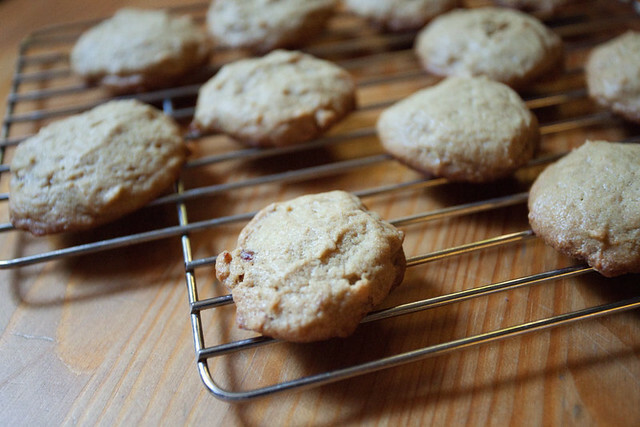 I made peanut butter, banana, and candied bacon cookies. 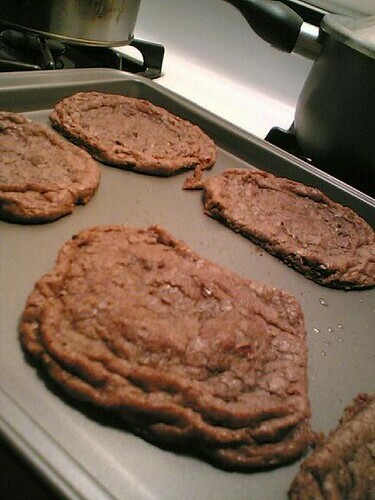 I have no idea how I did it, but they actually looked like cookies! I used this recipe as a base and tweaked it by using fresh bananas instead of banana chips and candied bacon instead of praline bacon. I only used half a banana and about 3 strips of candied bacon. Even though the cookies came out pretty good, there wasn’t much banana flavor and it needed more bacon. Also it’s nice to know a baker. I’m friends with Dave, owner/baker of One Girl Cookies and I brought him the cookies to try. He said it was pretty good and told me that since I used fresh bananas the extra liquid from the bananas made the cookies more cakey. Well…I had no idea. I’m going to try and tweak the recipe and definitely add more bacon.